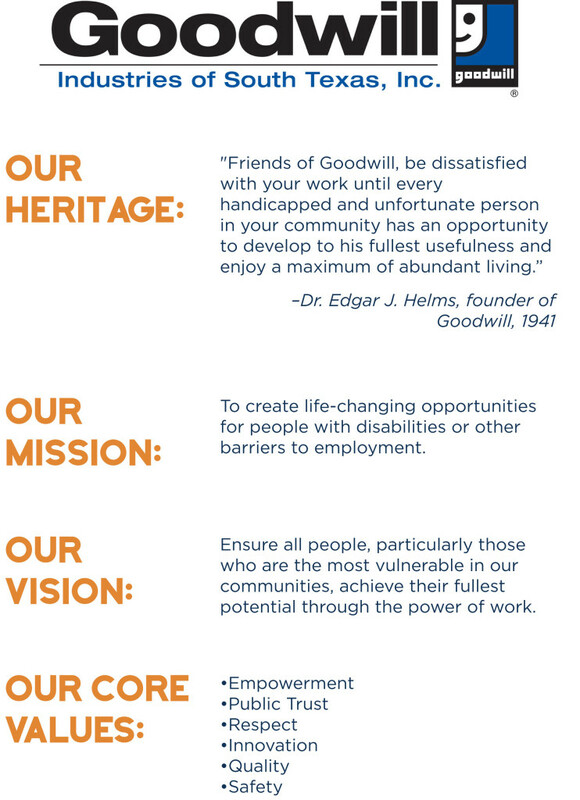 Goodwill Industries of South Texas, Inc. is a 501c3 charitable organization incorporated in 1948. Goodwill’s territory encompasses 20 counties throughout South Texas. The administrative office is located in Corpus Christi at the Port Avenue facility. In 2017 Goodwill served 4,765 people throughout South Texas.